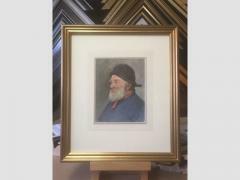 Berkshire Bespoke Picture Framing undertake all aspects of framing from works of art, oils, watercolours, posters, photographs, prints, tapestries, needlework, sports shirts, football and rugby shirts. 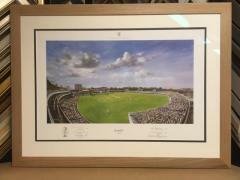 We specialise in making box frames for memorabilia items such as signed football and rugby shirts, boxing gloves, cricket bats, golf balls, hats, artefacts, medal collections and wedding bouquets. 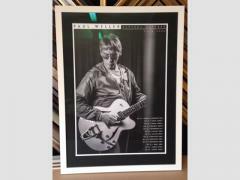 We frame such items to conservation standard using acid free mount boards, tapes and backing. We use UV filtering clear non reflecting glass to protect your objects. 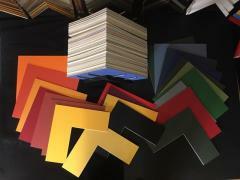 We offer a wide range of mount boards and colours. We can create single, double and triple mounts and we make traditional wash line mounts - a great addition to watercolours and prints. All our mount boards are acid free and conservation standard. We also have a range of museum boards. We specialise in making traditional wash line mounts. 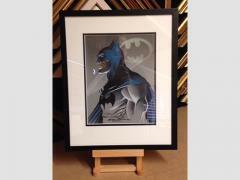 These mounts are hand painted using watercolours and are bespoke to the artwork that is being mounted and framed. Using high quality artistic stretcher bars we are able to stretch canvases for both and standard and non standard size canvases. Re stretching of old canvases onto existing stretcher bars is also undertaken. Once the canvas is stretched it is ready for framing either traditionally or using the modern technique by floating it into a tray frame. As well as canvas stretching, we also stretch various textiles including tapestries, cross stitching, batiks and silk paintings. A well made bespoke mirror can add a new dimension to the interior design of a room or reception area adding light and space and creating a focal point. 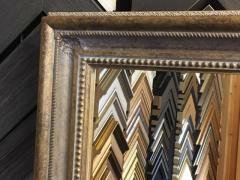 We make mirrors of all shapes and sizes utilising our large range of mouldings and traditional hand finished swept frames and over mantel frames. 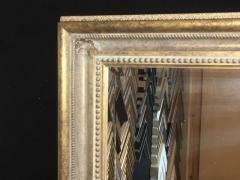 We supply plain, bevelled and antique mirrors. When the mirror is completed we can advise on the safe installation/hanging of the finished piece. 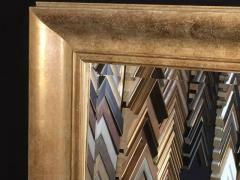 As well as creating quality frames for artwork and mirrors, we offer an installation and hanging service. Guided by our clients wishes, we can advise where and how a picture or mirror or a group of pieces is best hung to compliment the room or space. 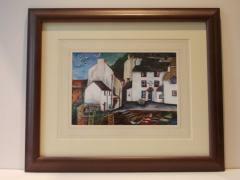 Prior to hanging the piece we will check that there are no wires or pipes in the walls to avoid mishaps!